White Tiger Estates are able to provide four services to landlords: Let Only, Rent Collection and Full Management. The Let Only service is a one off fee of 60% ex VAT of the first month’s rent, which includes the referencing, Tenancy Agreement, and the registration and transfer of the tenant’s deposit to the My Deposit Custodial Scheme. What does our Let Only Service include? The Rent Collection service costs 8% ex VAT of the monthly rent. 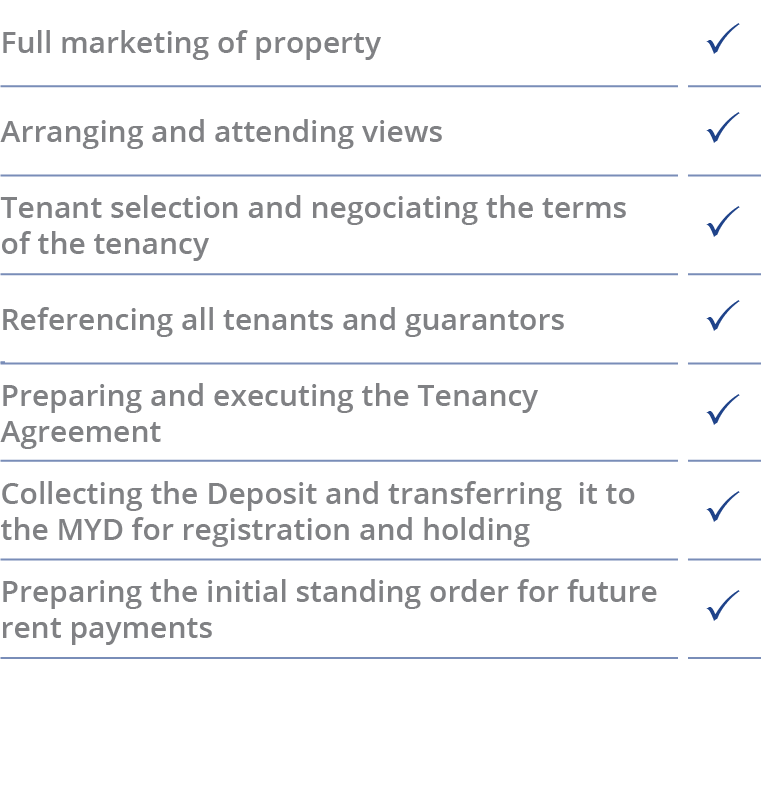 Plus, a set-up fee of 33% ex VAT of the first month’s rent, which includes the referencing, Tenancy Agreement, and the registration and transfer of the tenant’s deposit to the My Deposit Custodial Scheme. 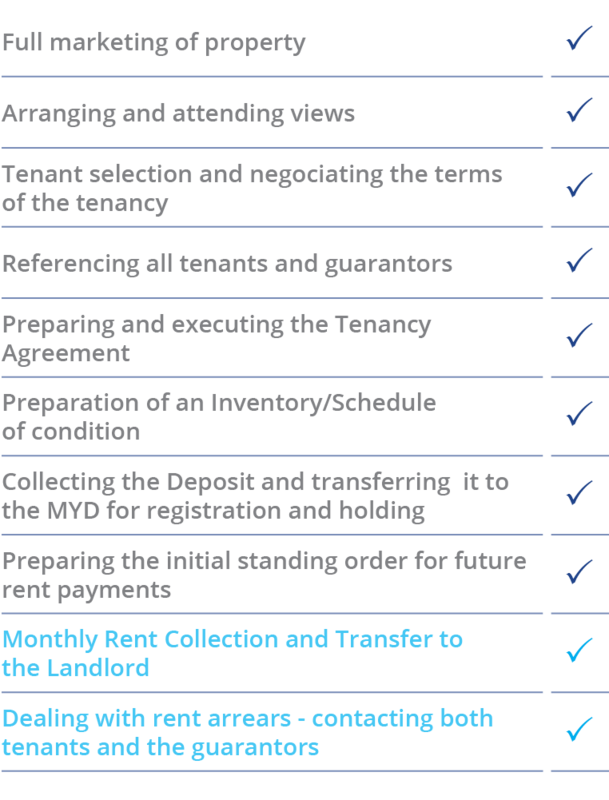 What does our Rent Collection Service include? The Full Management service costs 12% ex vat of the monthly rent. Plus, a set-up fee of 33% ex VAT of the first month’s rent, which includes the referencing, Tenancy Agreement, and the registration and transfer of the tenant’s deposit to the My Deposits Custodial Scheme.